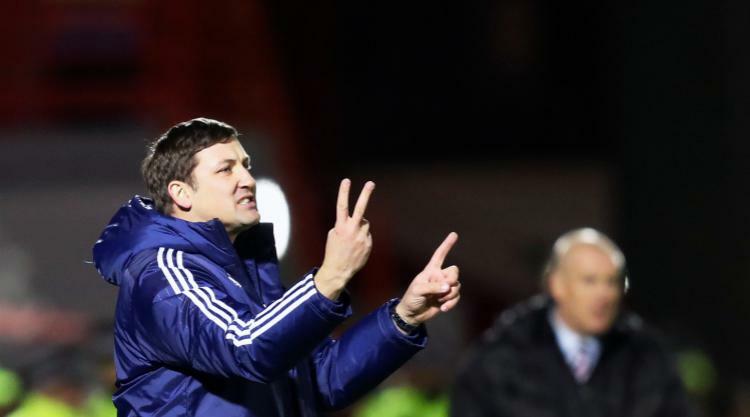 Boss Martin Canning ruled out a comeback as Hamilton face a central defensive crisis ahead of their Ladbrokes Premiership game against St Johnstone on Saturday. Captain Michael Devlin and Massimo Donati, who played as a centre-back duo in the 1-0 William Hill Scottish Cup win over Kilmarnock at Rugby Park last week, are suspended for the trip to Perth, as is Georgios Sarris, who is also out injured. Canning, 35, is still registered as a player but has not started a first-team game since a 4-2 defeat to St Johnstone in October 31, 2015 and will not allow his heart to rule his head. The former Hibernian player, who is hoping to have a right-back and left-back signed in the next couple of days, said: "It has been too long. "I am ticking away in training but I haven't played in the Premiership in nearly two years so it is a big ask, the sharpness that you lose, the speed, it would be a big ask for me. "My heart would tell me, 'get in there, help the team' but my brain will tell me, 'listen, you might not be the best guy for the job'. "I might put myself on the bench on Saturday so that I'm there if I am absolutely needed but we have young players desperate for an opportunity who have been doing very well so I wouldn't put myself in because I am that bit more experienced. "Georgios Sarris is out for the next three weeks after having a tidy up of his knee. "Dan Seaborne will come in and play and as yet I am undecided by the shape or system or personnel to fill the gaps. "It is an opportunity for guys who think they should be playing more to show why they should be playing more. "Steven Boyd has been called back from Albion Rovers, he will be involved between now and the end of the season. "Ronan Hughes and Ross Cunningham have both been on the bench for the last half a dozen games. "Shaun Want has been involved, he did well against Hearts at right centre-back and young Craig Watson is coming back from a long-term injury. "I have options and I will assess it in the next couple of days."